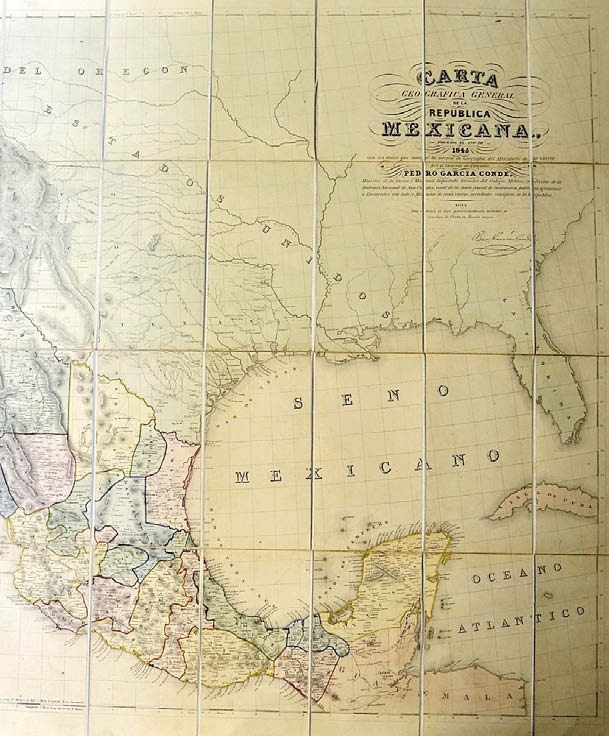 A folding and cased map of Mexico offered on February 28 by Mullock’s (19% buyer’s premium) and described as an “Edward Stanford 1845 Map…” produced a real surprise when it sold for £16,500 rather than the £100-120 suggested. Those simple facts were revealed in ATG No 2282, News Digest, when the map featured in the Bid Barometer column. But why? What was the appeal of this Carta… de la Republica Mexicana? As the brief Ludlow catalogue entry noted, this map was the result of a survey made by Pedro García Conde. The slipcase bore a label that read simply ‘Mexico (Conde)’ and the publisher was certainly Edward Stanford. However, the man whose map and travel book business continues to this day in London and Bristol was only 18 years old in 1845 and the well known shop in Covent Garden that bears his name did not open until 1853. 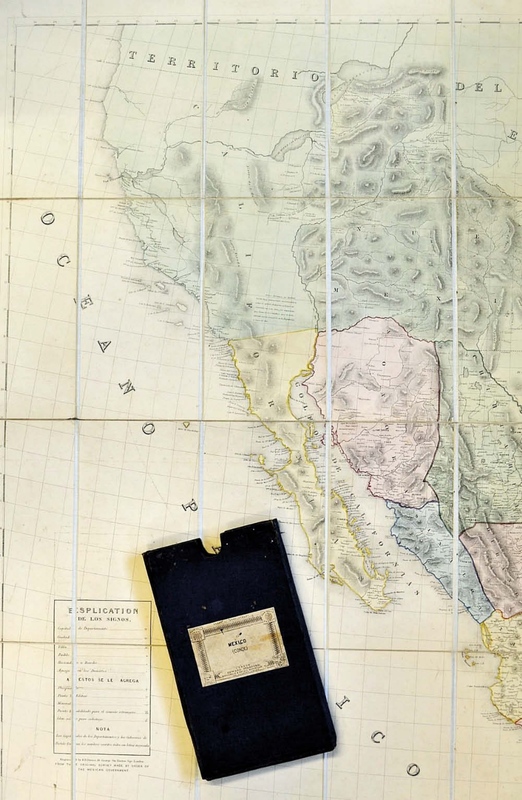 The Mullocks buyer, asked by the saleroom to explain the significance of the map, described it as “… a cartographic cornerstone for the foundation of the Republic of Mexico and the history of the American Southwest”. He continued: “Conde was an army officer who became the Boundary Commissioner for Mexico after the Treaty of Guadalupe- Hidalgo that brought about an end of the Mexican American War of 1846-48. As a result of this treaty, the United States gained what is now the state of California and the border of the new state of Texas was settled on the Rio Grande. “The original manuscript map drawn up under Conde’s supervision has been lost and the origins of this printed map are shrouded in mystery. 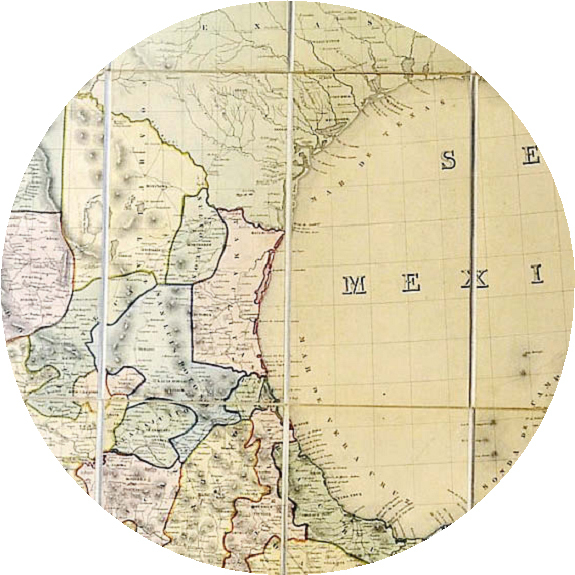 “After a change of government in Mexico, Conde was no longer in favour and must have been forced to look for a map publisher abroad. He met with little success but did convince Benjamin Rees Davies of London to engrave a folding version of his map in 1845. Mullocks’ buyer also notes that “Stanford adjusted the map to show the new geo-political situation in the American Southwest, namely the border adjustment to California and Texas”. One can readily concur with his “shrouded in mystery” reference. More on Conde’s life and work can be found on the Texas State Historical Association website, but for much greater detail, explanation and speculation on this important map the websites of the US map dealer Barry Ruderman and the auctioneer Leslie Hindman are extremely informative and useful. Until now, the map seems to have been known only from a handful of examples in institutional collections, but Hindman, I discovered to my surprise, sold another copy of this rare Conde map for a low estimate $30,000 (£23,810) in a sale of a Mexican-American War collection held on December 15-16 last. There too it was noted that “the publication circumstances of this map are problematic”.